This is a card I made for last Valentine's Day for an unmarried elderly woman at my church who has been confined to a nursery home and unable to attend our services. I wanted her to know that she is still thought of and loved on Valentine's Day. I didn't use traditional Valentine's colors or stamps, because I wanted to keep the focus of the card on the love of God and the church for her, and not a romantic love. 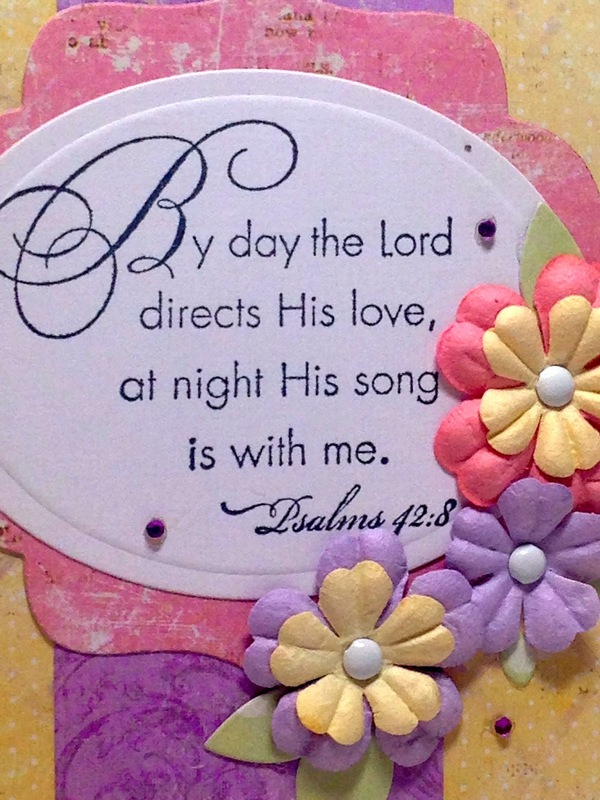 So I chose a scripture stamp from retired Stampin Up! 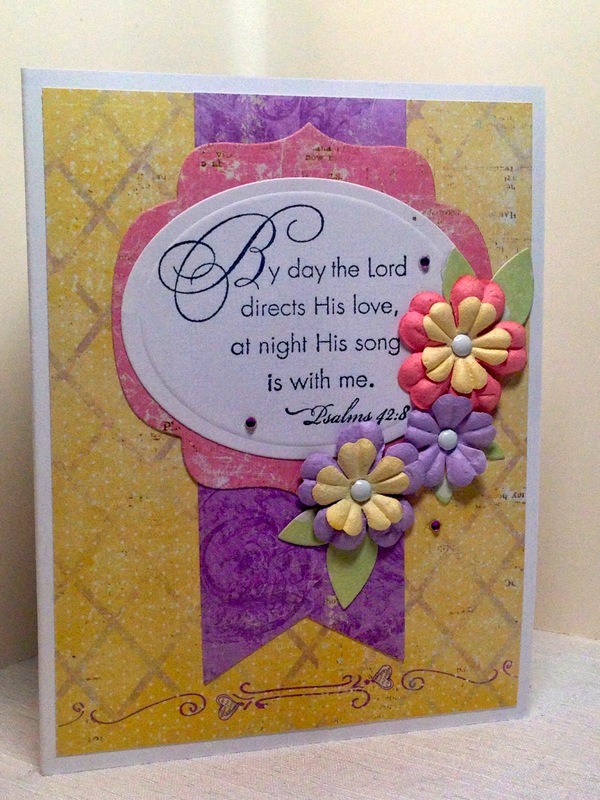 'Elegant Inspirations' and light, spring colors from 'Sweet Fairy' by Prima. My sketch is by MFT (MFTWSC164). I used Spellbinder's Nestabilities and MFT dies to cut out all the shapes. I added prima flowers, brads, and adhesive gems for embellishment. What a nice thought to give the lady this card on Valentine's Day! Love the verse, perfect for the occasion! This is a so pretty card Amy !